Quite a while ago the hubby and I bought a car mirror. It was made by Lindham, grey coloured around the side. 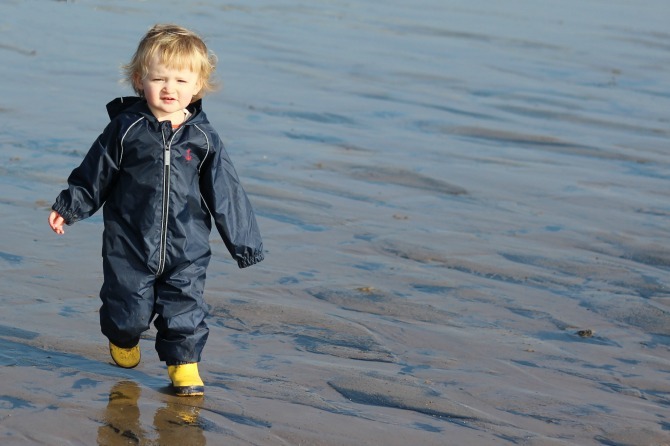 We fitted it and immediately hated it - it rattled like crazy, keeping Squidge awake. It also felt really flimsy. I should have sent it back (I'd bought it on Amazon) but instead it's sat on our shelf, and will probably end up in the bin. 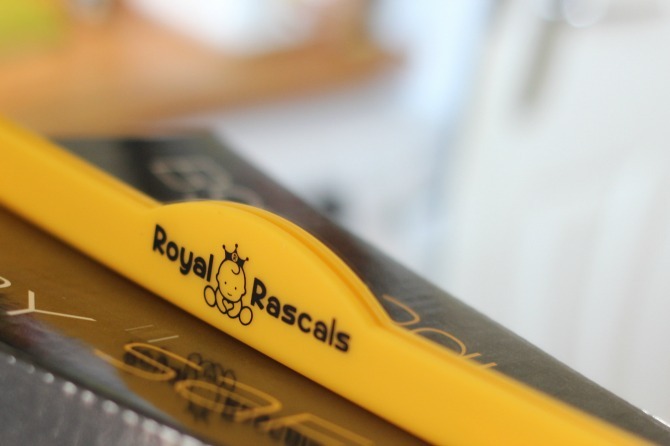 When I found out about the Royal Rascals mirror I was really intrigued. 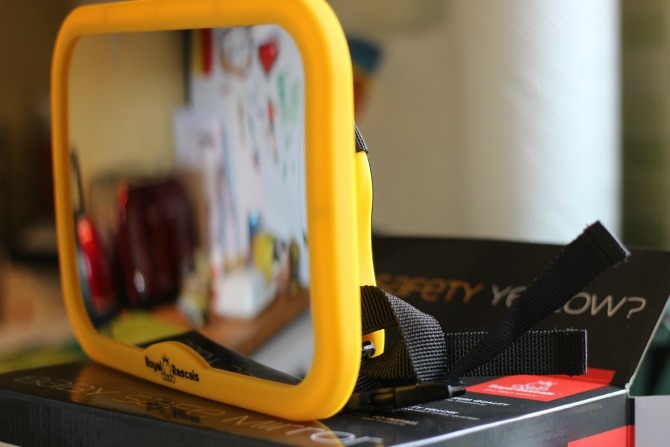 Firstly, it has a yellow surround (sturdy plastic), so for the driver, when they're looking in the rear view mirror, you don't have to search around to see it, instead your eyes are immediately drawn to it, keeping your eyes on the road for the maximum amount of time. 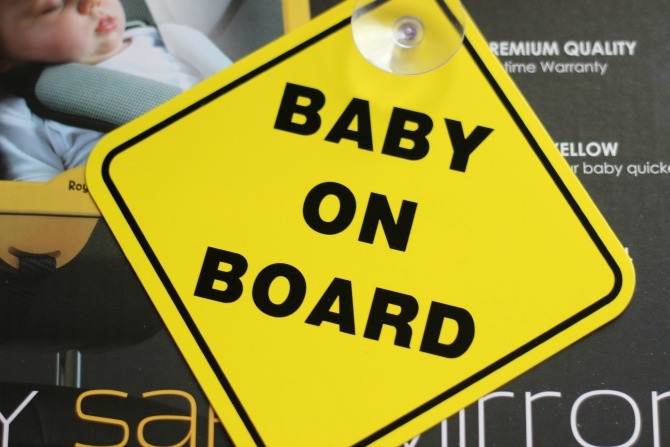 It comes with a small 'baby on board' sign - it's not something we'll use as we're not keen on them. But handy if that's something you'd like/use - I like that it's a small innocuous one, so don't take up too much space. 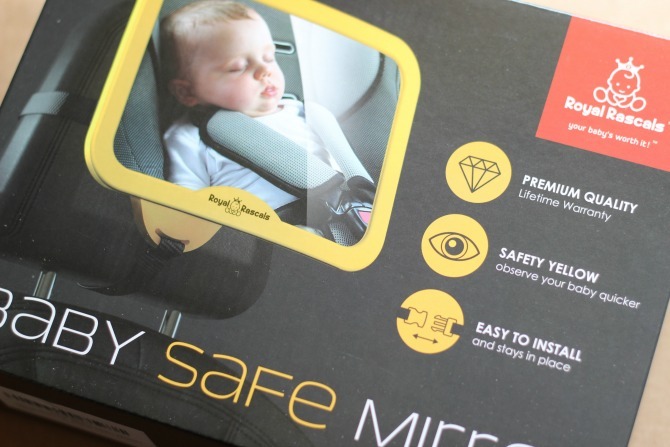 The mirror is slightly concave too (only ever so slightly) which helps to make sure that the baby/toddler is in view. What I love most about this is that it doesn't rattle, it's really solid. It was really simple to fit to the car, it strapped in over the headrest. And what's more, Squidge loves it. 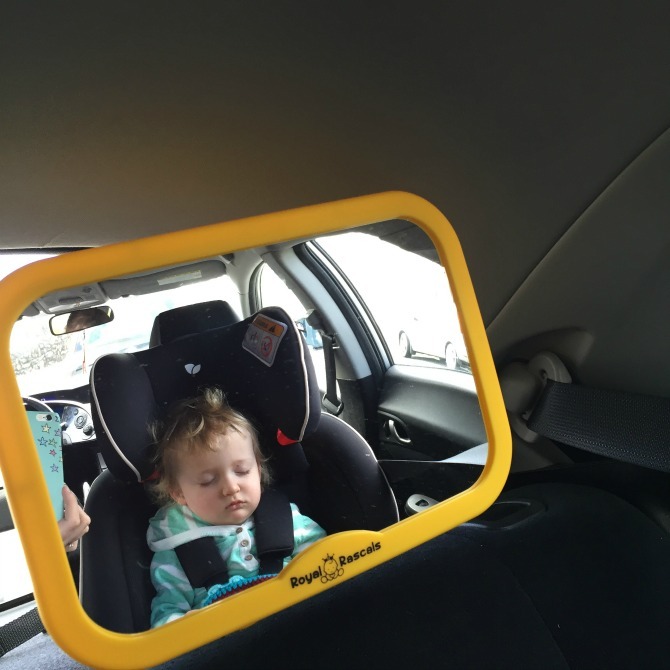 He can now see his Daddy, and see that he's not alone in the car. We've found that he's been much calmer and I haven't had to sit in the back with him constantly. 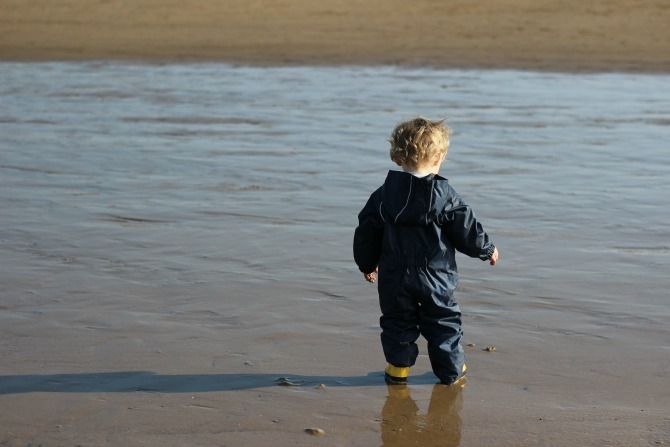 When we drove to the beach the other day, we drove a long way back which took an hour. He would have been pretty hungry at this point, but didn't cry or moan, just giggled at us every now and then. It's really helped make the car journeys more pleasant as he's calmer and reassured. 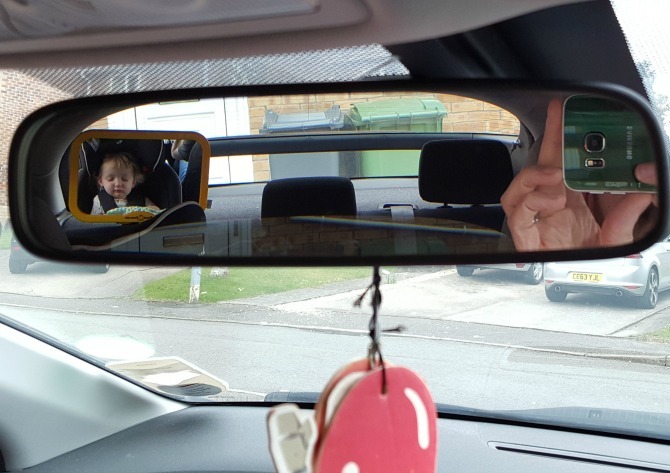 Daddy's view of the mirror, you can see it's not too 'in your face'. The mirror costs £16.94 (it's on offer at the time of writing this) - only a couple ££s more than the rubbish Lindham one. 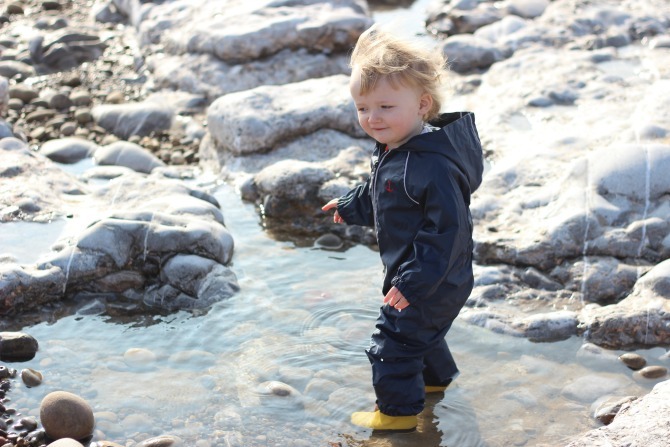 For us, it's worth every penny - both Squidge and Daddy love it, and Mummy loves that it doesn't make a god awful racket! Back in January a rather exciting email landed in my inbox. 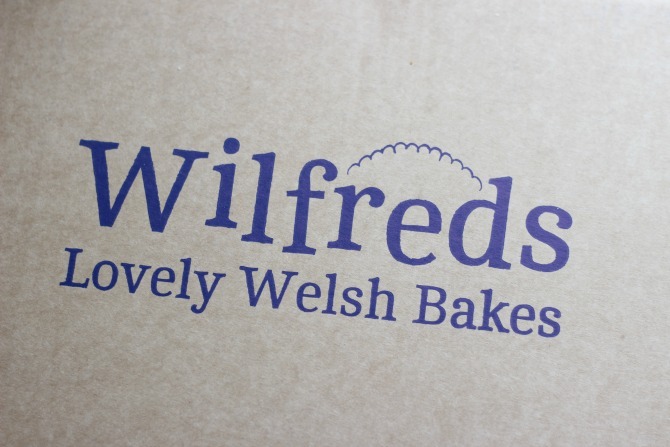 A local Welsh brand called Lewis pies were launching a premium range called Wilfreds. 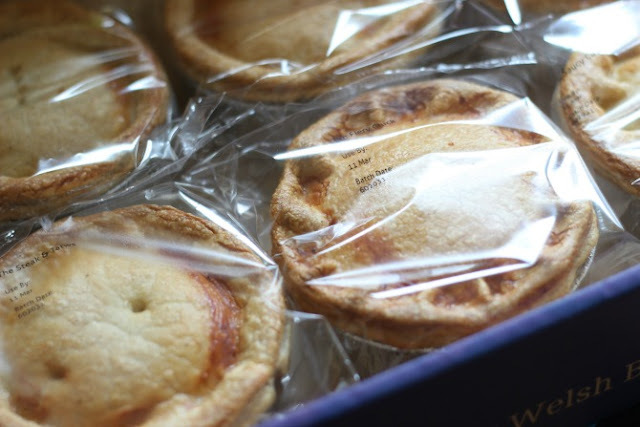 Lewis pies was set up in 1936 by Wilfred Charles Lewis and the new range of pies focus on using prime Welsh ingredients. Fast forward to early March, and I had a rather exciting delivery of 6 Wilfreds pies. Given that we were starting Slimming World just 3 days from taking delivery of these, we needed to nom them up quickly! Each pie in the range has a quirky Welsh themed name, like 'The Gower Cwtch' (named after a pub in the Gower) or have a local ingredient in them like Collier's Powerful Welsh Cheddar, nom! The Saucy Cow - PGI Welsh beef steak with Gower Power ale gravy. The Steak & Tatws - PGI Welsh beef steak in a rich gravy with chunks of British potatoes. The Gower Cwtch - PGI Welsh beef steak with leeks and a hint of horseradish. 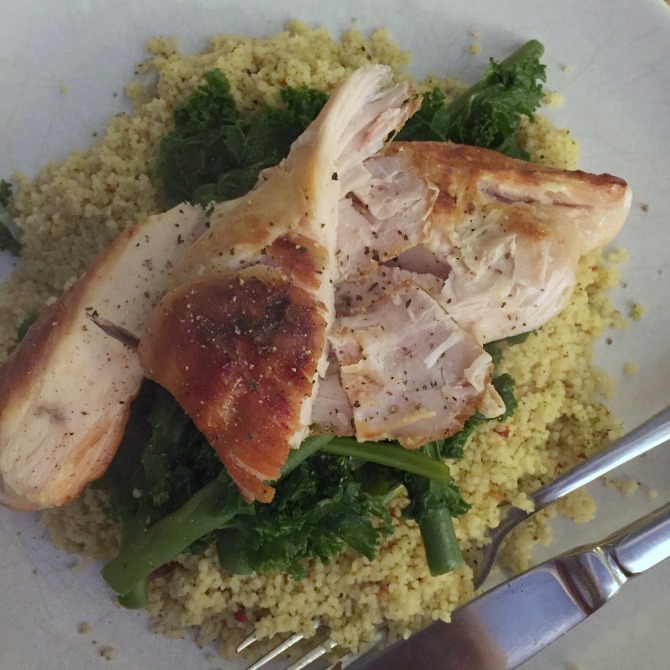 The Fiery Chick - British chicken in cajun spiced sauce with Colliers Powerful Welsh Cheddar. The Clucking Valleys - British chicken and vegetables in gravy. The Lamb of my Fathers - PGI Welsh Lamb and vegetables with mint, faggots and a dash of local laverbread. All pies are in a hot water crust pastry. You can either warm them in the oven, or in the microwave. We opted for the microwave as it was much quicker - you just need to remove the foil dish they're in. We warmed them for 2 mins each - although the instructions said 1 min should be enough. The important bit, how did they taste? One word, delicious! I had two clear favourites, The Gower Cwtch (the subtelty of the horseradish really made it) and The Fiery Chick (so full of flavour!). 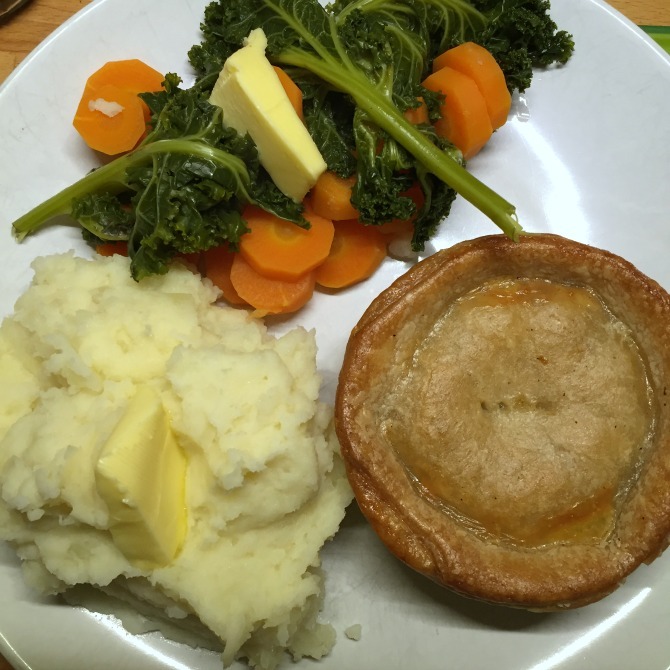 Each pie we had was lovely, the pastry was lovely and the pies had lots of filling in them. The hubby really liked The Lamb of my Fathers too (I don't like lamb, so that was earmarked for him). You could really feel and taste the high quality ingredients. In The Gower Cwtch pie, there were really big chunks of beef in it, which fell and pulled apart with the fork, the beef was so tender. We didn't find any gristle or anything nasty like that in them, just nice good quality ingredients and lots of yummy flavour.